DATE & TIME PARSER - simplexetys Webseite! 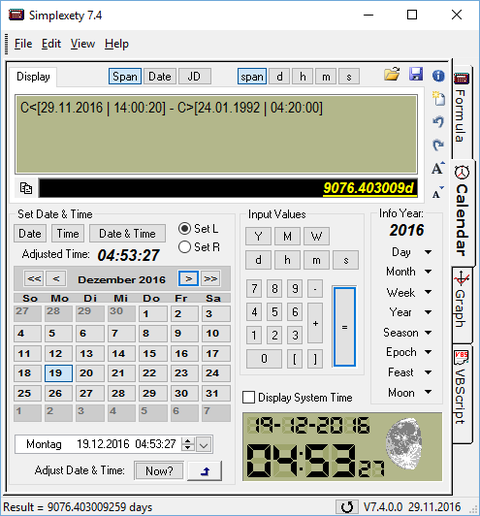 The new advanced Date & Time Parser is very simple to use. It does a lot of calculations and brings up many time related information. The syntax was introduced in the early days of development and simplifies the parser's error input check. The output is in the normal form like +366d 22h 12m 0s (day, hour, minute and sec.) or 21.04.2004 16:19:18 or 04/21/2004.